This is the closest PsyBlog gets to toilet humour. 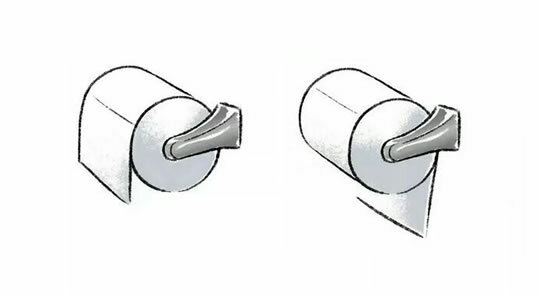 Do you hang your toilet roll with the end of the paper hanging ‘over’ or with the end hanging ‘under’? According to a survey by Dr Gilda Carle, ‘over’ people are more assertive. Assertive people are more likely to be in leadership roles and to have a take-charge attitude, says Dr Carle. Those hanging the roll ‘under’ are more likely to be submissive. Submissive people tend to be more agreeable, flexible and empathetic, says Dr Carle. 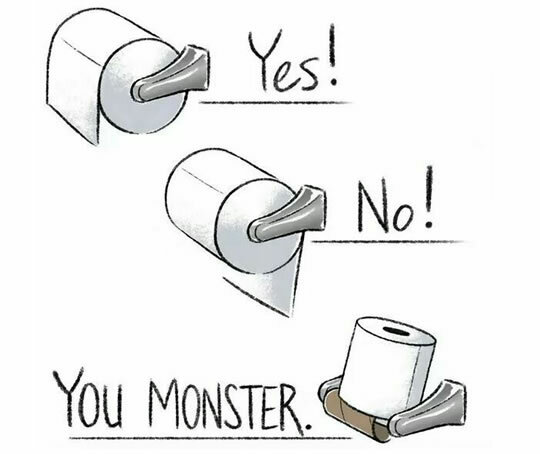 To create the toilet paper personality test, Dr Carle surveyed around 2,000 people of all ages, asking them whether they rolled the paper over or under. Some people, Dr Carle has found, actually switched the toilet roll in other people’s houses (around one in five). Naturally it was those ‘over’ people imposing their dominant personality on submissive ‘unders’. Rolling under might also be linked to lower earnings, another survey has found. 73% of those earning under $20,000 rolled under, while 60% of those earning over $50,000 roll over. Note: this survey was not published in a reputable peer-reviewed journal!